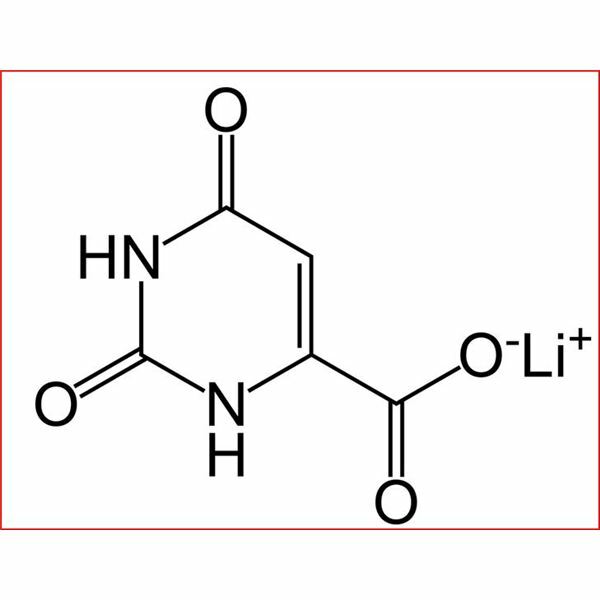 What is Lithium orotate exactly? First of all, let's make sure we don't confuse lithium orotate with the other prescription pharmaceutical form of lithium used traditionally to treat bipolar disorder. The pharmaceutical drug forms are lithium carbonate and lithium citrate. High doses of these have been prescribed by doctors for years as a mood stabilizer to treat bipolar disorder with success. But since it’s difficult for the body to absorb these forms of lithium, and they are administered in high doses, frequent blood tests must be administered to the patient to monitor blood toxicity levels. Lithium isn’t a drug, but a mineral found in nature (just like calcium and potassium). Secondly, there is no clear evidence based on clinical studies that lithium orotate would be preferential to the lithium carbonate and lithium citrate. Many bipolar individuals have managed to lead healthy, productive lives using lithium with either no side effects or minor ones such as being thirsty or feeling slightly zoned out (although people with liver trouble, pregnant or nursing women should never take it, and some others do experience more serious side effects). Thirdly, as in the case of anything related to treating and coping with your mental illness, your doctor is the one to consult and seek advice from about the best course of action for your unique mind and personality. But the fourth point, the proverbial clean-up batter here, is perhaps key to the pursuit of mental wellness and seeking relief from the disturbing and potentially devastating symptoms of manic depression. That is, using all the tools at your disposal to find the best solution for you. Doctors can’t learn what it feels like to be bipolar from a book so you must be your number one advocate. The internet is a good tool to help you do thorough research and see how others report back when trying natural supplements for bipolar disorder. On this Bright Hub mental channel, we’re trying to help people live in the solution, not the problem, because this serious mental illness is something near and dear to me. Even with doctor-prescribed mood stabilizers, there is trial and error involved. Even though a mineral deficiency may be one source of the cause of bipolar disorder, there are certainly many more contributing factors. Lithium orotate is a dietary supplement that is superior in bio-availability in the human body. That means it creates higher levels of lithium ion in the blood and brain from much smaller doses than the lithium prescribed by a physician. In doing so, lithium orotate will stimulate the brain and increase the secretion and reuptake of neurotransmitters which is so important in regulating the mood of bipolar patients to avoid those drastic mood swings. Which is how the lithium prescribed by doctors for treating bipolar disorder works as well. Proponents believe that its ability to stabilize lysosomal membranes and slow down enzymatic reactions might be better than the side effects resulting from the high doses of the other forms of lithium (remember there are no conclusive studies out on lithium orotate though). If bipolar patients themselves are finding it effective, that is satisfactory enough to them. But since we must remain balanced, lithium orotate is a supplement, not a drug, so the FDA does not carry out testing on it to see about possible harmful side effects. I’m not going to provide a link here to buy it online; I’d like you to read an informed doctor’s opinion here at psychcentral.com. But also check out the link below to Dr. Ray Sahelian’s website, since he is a proponent of using natural supplements where there is some evidence showing their effectiveness. I will continue to follow this issue closely, because if this form of lithium is shown to make a positive difference in the lives of bipolar individuals with no ill effects, that is what counts. Challenging the stigma of bipolar disorder and finding the most effective means of managing and coping with it is a priority with me and you, since you took the time to read this.